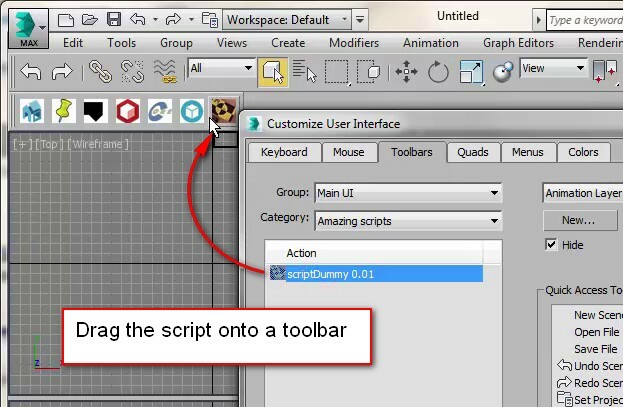 To add the script to a toolbar, use the menu: Customize > Customize User Interface… Go to the “Toolbar” tab and in the “Category” list pick the “Klaas tools” item. A list of scripts in that category appears. 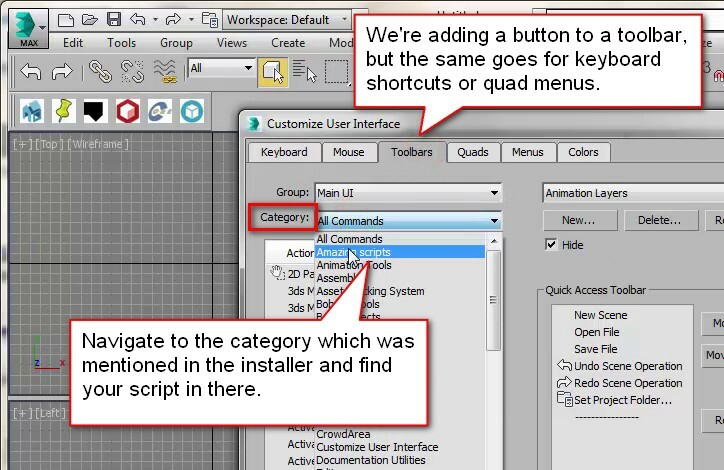 Pick the Maproom [version number]” item and drag that to an existing toolbar or make a new toolbar for it. Save the ui layout if you want to keep it. You can also put the script in a menu, quad, under a keyboard shortcut or a combination of these.